Eat More Fruits & Veggies, There’s Nothing “Dirty” About Them! It’s that time of year again when the the annual “Dirty Dozen” list, the list of fruits and veggies to have the highest pesticide residues, is released. According to the group that releases this list’s website website, their goal is “to use the power of public information to protect public health and the environment”, but I see them as one of the forerunners in organic propagandist organizations. I’ve already talked about why this group cannot and should not be trusted, and I encourage you to contact them with questions regarding their list and make them be accountable for the information they provide consumers with. My worry is that not all people can afford the higher prices associated with organic fruits and vegetables, which is what this group encourages when at all possible. Instead of worrying needlessly about “dirty” produce, I want you to know that all fruit and veggies are safe to eat. Organic, conventional, fresh, or frozen—it’s better to eat fruits and veggies than to avoid them all together. Some carry higher risks for certain populations, but as a general rule of thumb, our fruits and veggies are safe to eat. We should be eating more fruits and veggies, we shouldn’t be scared to buy them because an environmental group calls them “dirty”. Remember, it would take an astronomical amount of servings of the highest-ever recorded pesticide residues (which is not the norm), of these fruits and vegetables before any effect was seen. 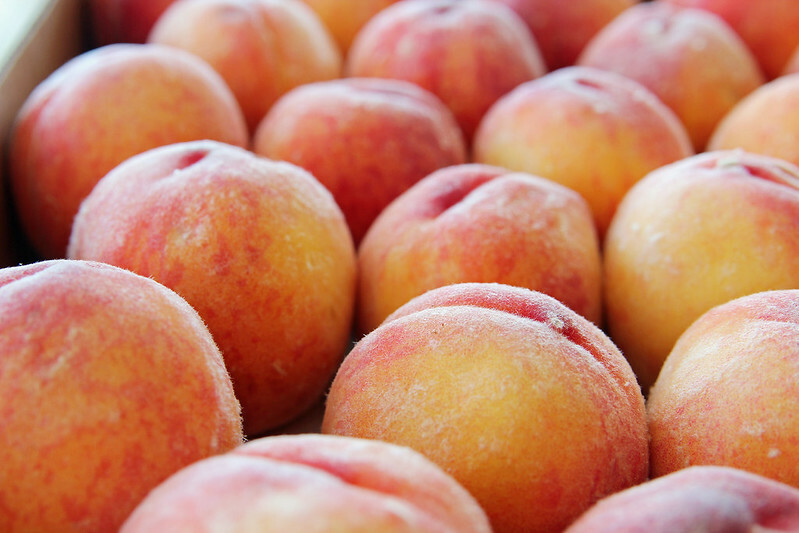 I would have to consume 263 peaches in a day before any effect was seen. I, for one, think it’s extremely disparaging and manipulative to instill fear in consumers needlessly like this. This is particularly ironic because organic produce is far from pesticide-free, especially on fruits and veggies that are imported (which the majority are in Canada). We should be embracing the nutrition and the health benefits that these fruits provide! We should encourage consumers to make healthier food choices and not worry them about. 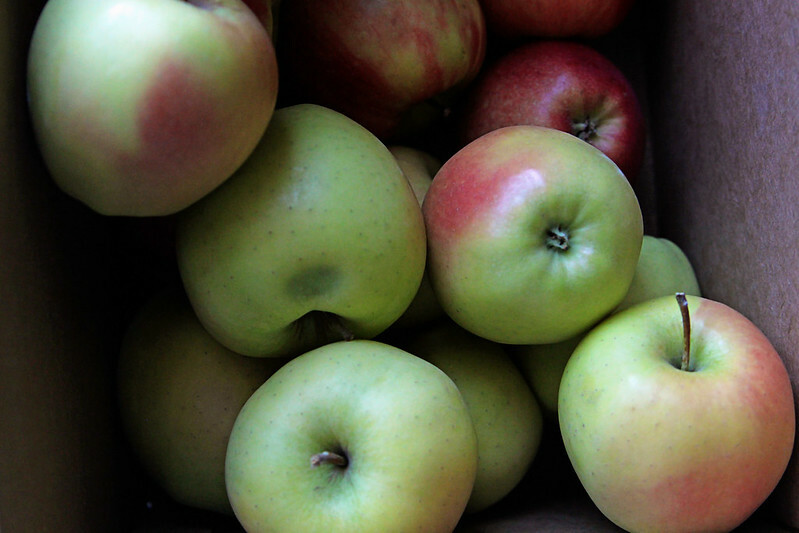 Here is some health info on the top 5 “dirty” fruits for 2015. Nothing fancy that you probably already didn’t know, nothing to be scared of. You can’t deny the nutrition value in fruits and vegetables. Our governments and food inspection agencies are set in place to have maximum residue limits for pesticides and testing is done by those regulatory bodies. One study published last year showed that eating seven or more portions of fruit and vegetables a day reduces your risk of death at any point in time by 42% compared to eating less than one portion. It is also estimated that if only half of all Americans increased their consumption of fruits and veggies by a single serving each day, an estimated 20,000 cancers cases could be prevented annually. Just eat more fruits and veggies, there’s nothing “dirty” about them! Great post Sarah! I think people often forget why pesticides are even used on fruit and vegetable crops and that is simply to keep bugs and worms out of our food. And like you said, if we wash our produce and handle it properly we'll be fine. We, including myself, need to eat more fruits and veggies, and I hate that the "dirty dozen" list might scare some people away for doing that.